Good-bye, battery hassles. 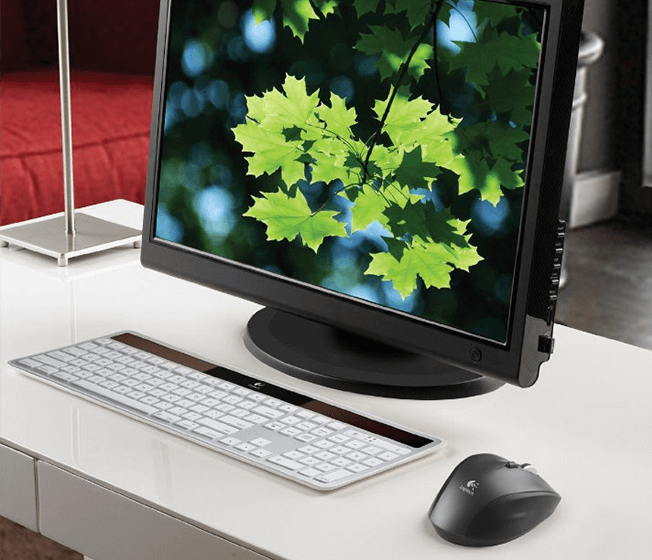 Light keeps your keyboard charged and ready—even indoors. 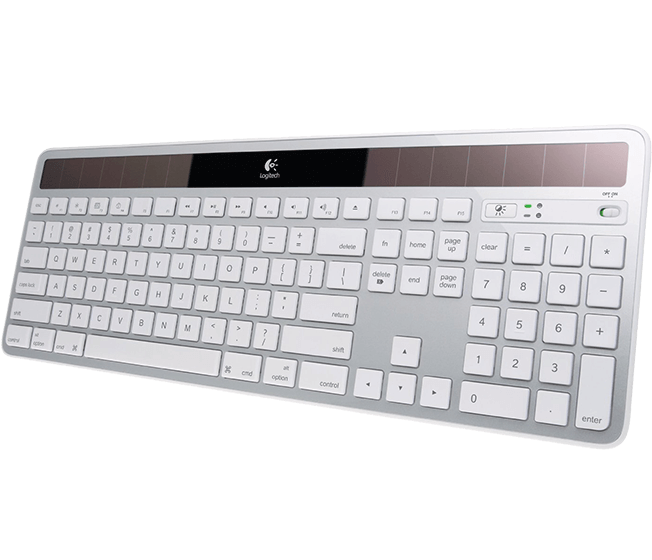 Your desk is about to get sleeker thanks to this streamlined keyboard. Everything is exactly where you expect it to be—and it all works right out of the box, with no software installation required. Want to know how much battery power you have? Or how much power you’re getting from your desk lamp? The Logitech Solar App can help. It doesn’t get easier than this. 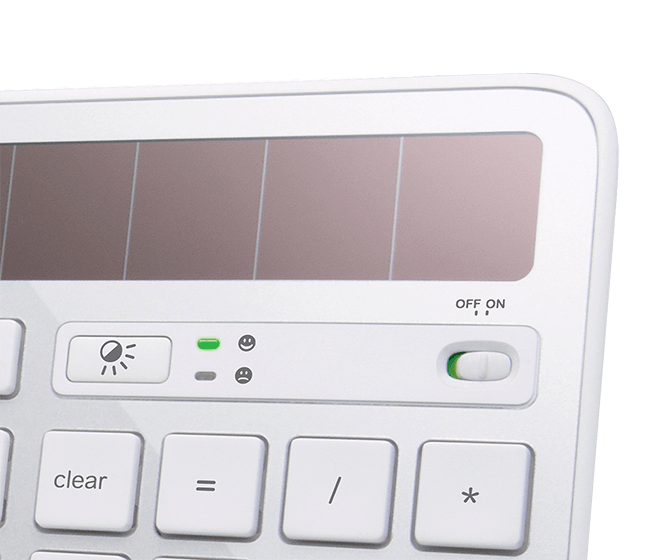 The light-powered keyboard works where you do—your house, your office, your hotel room. It charges itself with lamplight or sunlight, indoors or outdoors. And on a full charge it works for at least three months—even in total darkness. Which means that you can say good-bye to battery hassles. All the keys are exactly where you expect them to be, including music and brightness controls, command keys and the eject key. And it all works right out of the box. No software installation required. 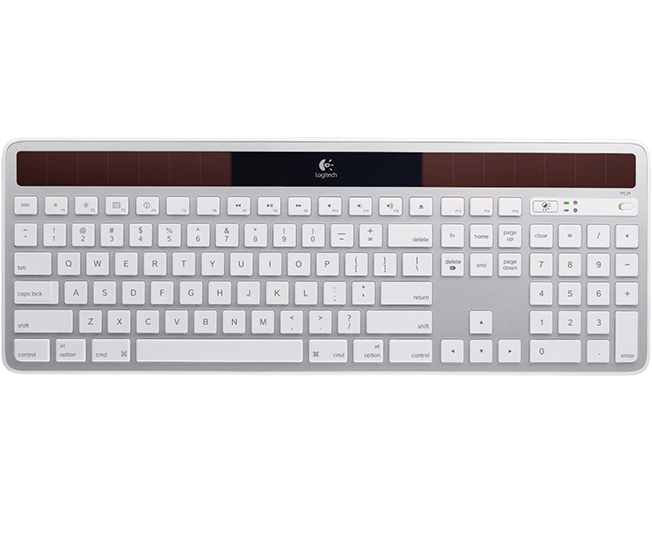 Combining the best of traditional keyboards, laptops and a Logitech-only concave key cap design, you’ll enjoy faster, quieter, feel-good typing—hour after hour.